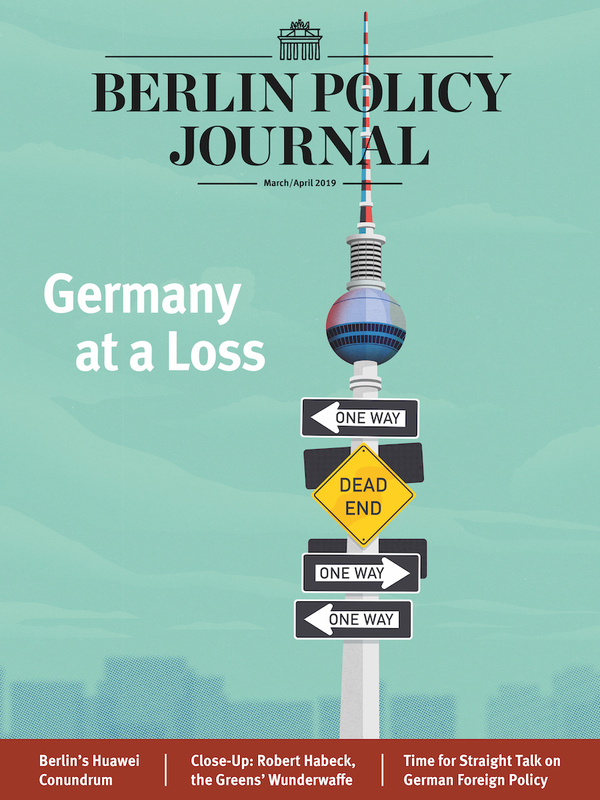 Why Paris and Berlin should not wait until after the German elections to get going. All eyes are now on France’s economy minister. Is he the right man to push through much-needed reforms? Germany’s defense minister on how to advance European security in turbulent times. Chancellor Merkel is right, the old times are over. Here’s what a new German foreign policy could look like. Berlin not only needs to do more, it needs to want to do more – and have a strategy to go with it. Former Finance Minister Alexei Kudrin has proposed a radical overhaul of Russia’s economy. Chances of implementation are slim. 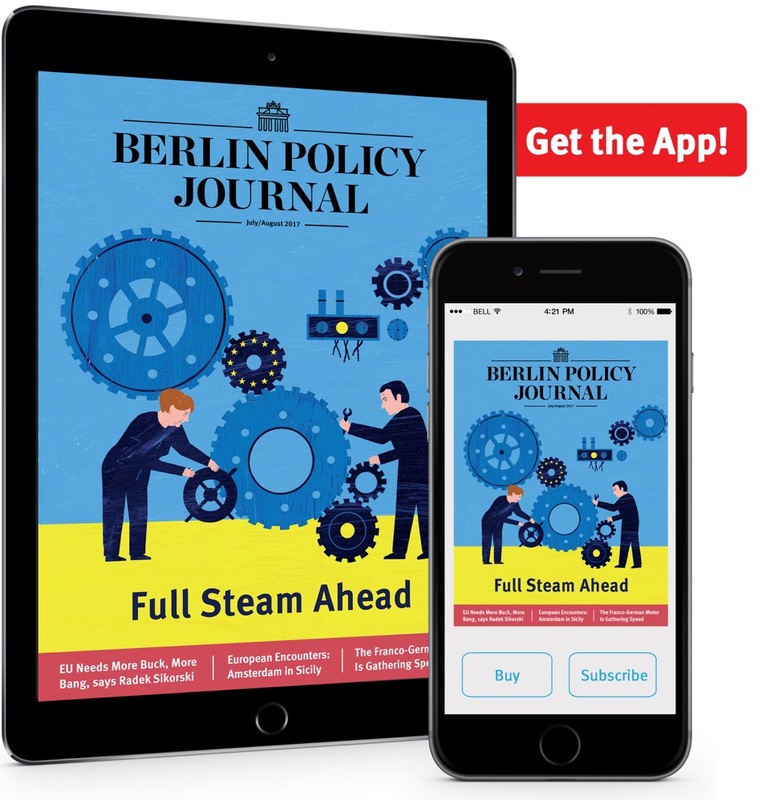 What lies behind the US-German spat over new Russian sanctions affecting the Nord Stream 2 gas pipeline? How RT, Sputnik & Co. portray Germany and Europe. In a new low, German troops leave the Incerlik airbase. 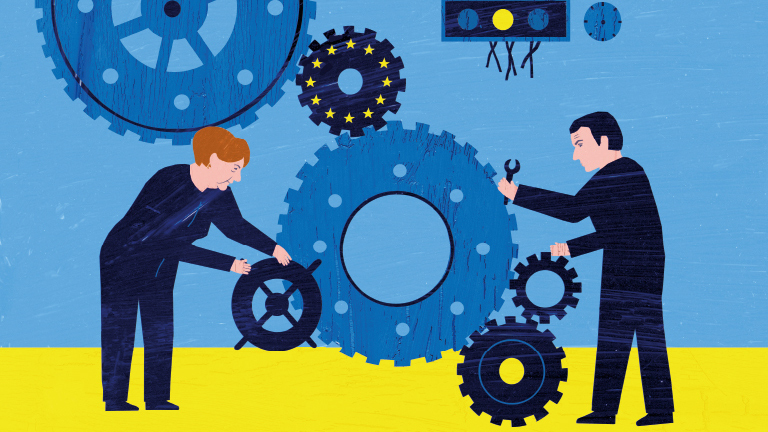 But there is scope to rebuild Turkey’s relations with Germany and the EU on the economic front. Addressing the refugee crisis and the rising numbers of African migrants arriving in Italy, the EU needs new thinking. 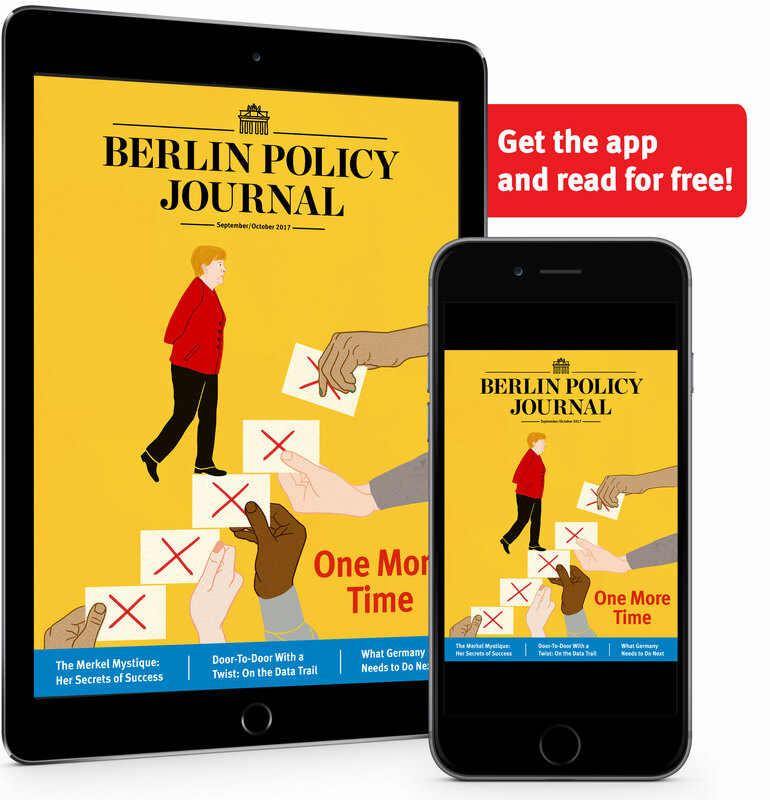 Read more in the Berlin Policy Journal App – July/August 2017 issue.